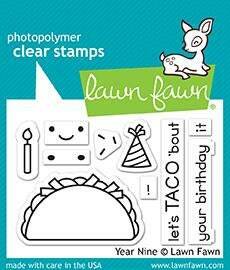 Let’s taco ‘bout how cute this stamp set is! 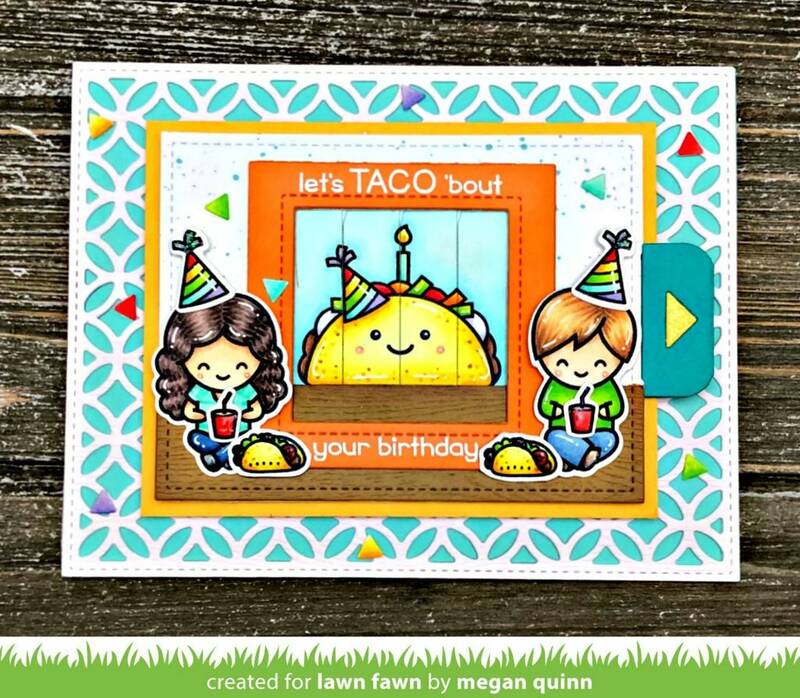 This little taco was created to celebrate Lawn Fawn’s ninth birthday! Woohoo! Coordinating set ideas: Pair this set with the “I’m Sorry” sentiment in Be Hap-pea, for a cute “I’m sorry - let’s Taco ‘bout it” card. Or add a quick sentiment with Happy Birthday Line Border!